Happy Friday Everyone! 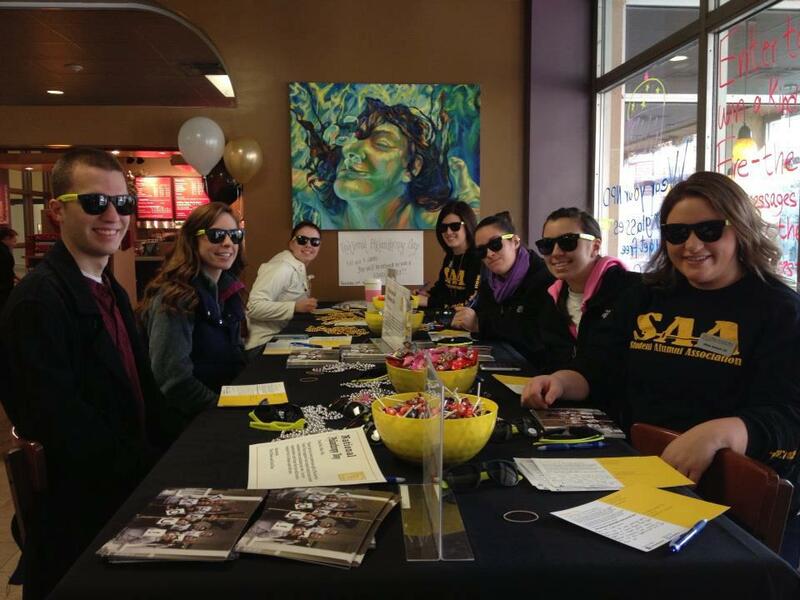 Hopefully everyone had a great day of philanthropy yesterday 🙂 My post today is a follow up to the guest post earlier this week by Jason Manning, Director of Annual Giving at The College of Saint Rose. For those of you who were around the Events & Athletics Center yesterday, I’m sure you saw the activity in the Main Lounge for the school’s 2nd Annual National Philanthropy Day. As a member of the Student Alumni Association, it was exciting to take part in the day. 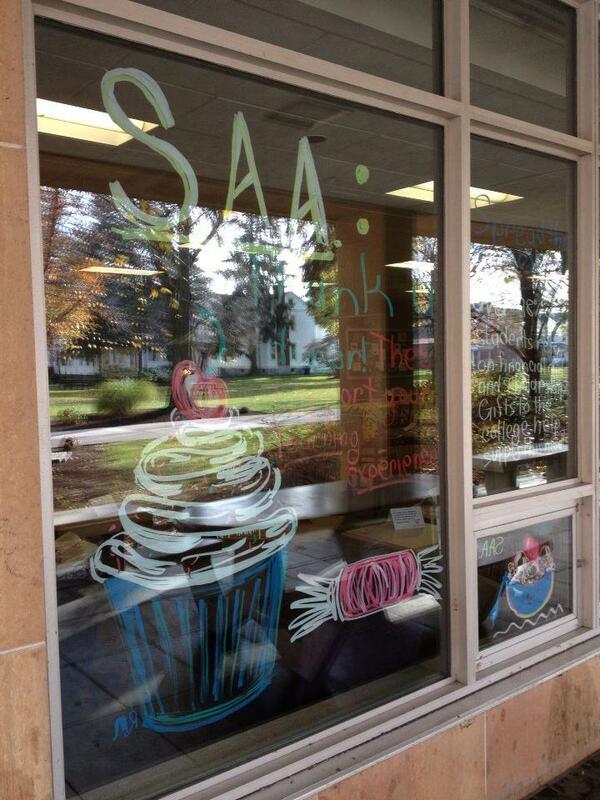 Cristina Hayden, Associate Director of Annual Giving, is our SAA advisor. I had the opportunity to visit with Cristina toward the end of the day. I think she said it best when she said, “The greatest thing about the day was the overwhelming student response to our ‘Thank a Donor’ event.” Because of the positive response from students and faculty, National Philanthropy Day will continue to be an annual event here at the school. In case you weren’t able to make it to the EAC yesterday, I’ve included some pictures from the event to give you an idea about the day! 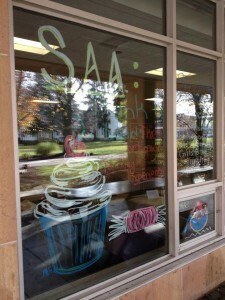 For more pictures, be sure to check out the Facebook page. 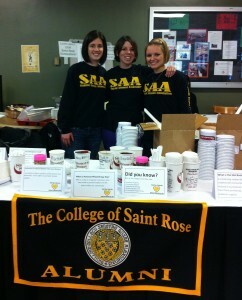 SAA Representatives giving out ice cream sundaes. Thanks to my fellow blogger Courtney Carr for taking this pic.! 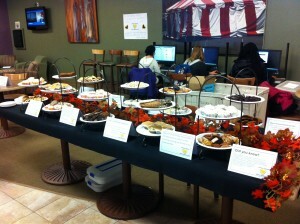 Here’s a picture I took of the SAA dessert table for donors and students that wrote “Thank You” cards! Thanks again to everyone that helped make the day a success!